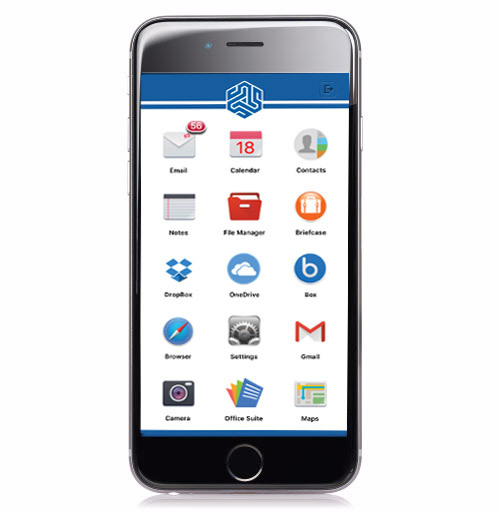 Easy and Secure Mobile Working for Corporate Employees! Provides admin capability to securely post documents to centralized “briefcase” that synchronizes to the latest version, then pushes the documents to end-users. Secure synchronization of files across a network file store and a remote device. This is a two-way sync. Secure local access/storage from Microsoft Office365 OneDrive files. Secure local access/storage from device to cloud-based 3rd-party file access management tool DropBox. Secure local access/storage from device to cloud-based 3rd-party file access management tool Box.net. 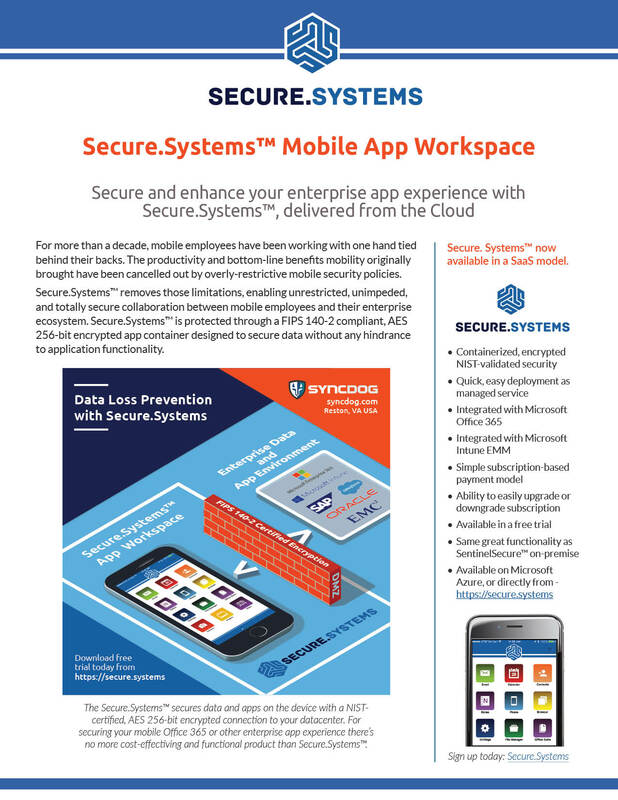 Secure mobile access to enterprise network files and manage them locally on the device. Securely access applications within Microsoft Office Suite (Word, Excel, PowerPoint). Securely annotate Office Suite files and other editable files and save/share in multiple file stores (Briefcase, DropBox, etc.). Images taken/stored/shared/annotated within secure container. Securely check in/check out shared files within Microsoft SharePoint. Edit and share docs within SharePoint work flows. Includes real-time synchronization.